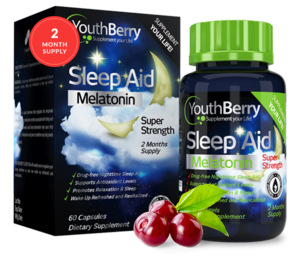 YouthBerry’s Sleep Aid will enable you to regulate your sleep patterns so you can wake up refreshed and revitalized. It is formulated using Melatonin, which is brain hormone that regulates our sleep/wake cycle. Jet lag, shift-work, sleep deprivation are due to changes in melatonin. 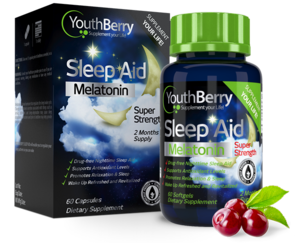 If used prior to bedtime, Melatonin helps to provide sleep support.